This machine is mainly used for protective clothing for the materials, cutting the plunge into the, tear behavior of impact resistance properties evaluate dynamically the tester. 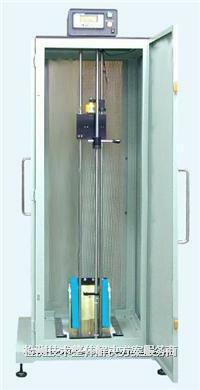 Put the samples surface and falling rj in vertical direction installation, to install the rj heavy hammer from a certain distance begin to fall due to heavy hammer, determine impact energy make sample produce tear length, according to the dynamic evaluation was test materials tear resistance. A heavy hammer of the impact energy is by photoelectric sensor measuring a hammer time and can be detected automatically flushed out will fall before the sample surface speed, through the use of a heavy hammer of quality for the moving energy (J: joule).